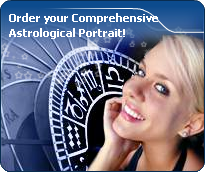 You will find below the horoscope of Brenda Lee with her interactive chart, an excerpt of her astrological portrait and her planetary dominants. Horoscopes having the same aspect Mercury opposite Saturn (orb 0°01'): Selena Gomez, Nicolas Hulot, Matthew McConaughey, Novak Djokovic, Steven Seagal, Henry VIII of England, Michèle Laroque, Dua Lipa, Hassan II of Morocco, Miles Davis, Didier Deschamps, Vanessa Marcil... Find all the celebrities having this aspect. Celebrities being the same height: Elle Fanning, Nicole Polizzi, Linda Hunt, Lena Zavaroni, Antonio Gramsci, Pauline Kael, Mari Yaguchi, Simone Biles, Don Estelle, Tiffany Espensen, Daiane dos Santos, Issei Sagawa... List of all the celebrities being 4' 9" tall. Celebrities clicked on in real-time: 576,306,707 times. Brenda Lee (born December 11, 1944 (birth time source: Contemporary American Horoscopes, Astrodatabank)) is an American pop singer, who was immensely popular during the 1950s and 1960s. She had the most charted hits of any woman in the 1960s, and only three male singers/groups (Elvis Presley, Ray Charles, and The Beatles) outpaced her. She was one of the earliest pop stars to have a major contemporary international following. She was given the nickname Little Miss Dynamite after recording Dynamite in 1957; the explosive strength of the sound pouring out of her small frame amazed audiences and promoters. Her general popularity faded as her voice suffered damage and matured in the late 1960s, but she successfully continued her recording career by returning to her roots as a country singer. Here are some character traits from Brenda Lee's birth chart. This description is far from being comprehensive but it can shed light on his/her personality, which is still interesting for professional astrologers or astrology lovers. In a matter of minutes, you can get at your email address your astrological portrait (approximately 32 pages), a much more comprehensive report than this portrait of Brenda Lee. Brenda Lee, the nocturnal North-western quadrant, consisting of the 4th, 5th and 6th houses, prevails in your chart: this sector favours creativity, conception and some sort of specialization or training, with helpfulness and relations as strong components. You need others' cooperation in order to work properly, although you are not very expansive: creating, innovating and thinking are what matter most to you because this self-expression enriches you and totally satisfies you. Like the majority of Earth signs, Brenda Lee, you are efficient, concrete and not too emotional. What matters to you is what you see: you judge the tree by its fruits. Your ideas keep changing, words disappear, but actions and their consequences are visible and remain. Express your sensitivity, even if it means revealing your vulnerability. Emotions, energy and communication must not be neglected; concrete action is meaningless if it is not justified by your heart, your intellect or your enthusiasm. Cheers for communication and mobility, Brenda Lee! The predominance of Air signs in your chart favours and amplifies your taste for relations and for all kinds of short trips, whether real (travels) or symbolic (new ideas, mind speculations). You gain in flexibility and adaptability what you lose in self-assertion or in pragmatism. Your angular houses, namely, the 1st, 4th, 7th and 10th houses, are very emphasized in your chart, Brenda Lee: according to the Tradition, they are the strongest and most dynamic houses. Should the rest of your chart concur, angular houses suggest that you are an enterprising, energetic and assertive woman. Indeed, angular houses are said to generate impulsions and to give a powerful and domineering personality. The 10th, 6th and 8th houses are the most prominent ones in your birth chart. From the analysis of the most tenanted houses, the astrologer identifies your most significant fields or spheres of activity. They deal with what you are experiencing - or what you will be brought to experience one day - or they deal with your inner motivations. After this paragraph about dominant planets, of Brenda Lee, here are the character traits that you must read more carefully than the previous texts since they are very specific: the texts about dominant planets only give background information about the personality and remain quite general: they emphasize or, on the contrary, mitigate different particularities or facets of a personality. A human being is a complex whole and only bodies of texts can attempt to successfully figure out all the finer points. You need to concentrate on a subject, Brenda Lee, to deepen your research and to follow your reasoning through with persistence and determination. You are the very type of the thinker who needs time and isolation to meditate at length and allow her serious, methodical and rigorous mind to show its worth. Your feet are firmly planted on the ground and to get your attention, ideas must be followed by implementation, for instance as in the case of mathematics applied to physics. You focus on the essential and you look at the world around you with clear-sightedness. You are not very talkative and you act with caution. You may come across as cold and ambitious even though your comments are always sincere and practical. However, be careful not to isolate yourself and to appear as a lofty and intolerant person. In love, you are more cerebral and friendly than really passionate, Brenda Lee. You are made for amorous friendships, for refined and light feelings where each partner retains one's freedom, and almost detachment, without getting really committed. Sometimes, you may be distant from, and indifferent to, love matters for a while, because you can be completely engrossed in original intellectual pursuits and the collective atmosphere which you are so fond of. You substitute a great number of friendly and light contacts to amorous relationships and it is fair to say that they satisfy you. To fall in love, you need spice and a partner who is original, who amazes you and whom you admire; under such conditions, you can freely express your feelings in an ambiance devoid of constraint, where freedom is perfectly respected and shared within the couple. The ruler of the Ascendant, Brenda Lee, is Venus. In the sign of Aquarius, it adds a note of eccentricity and inventiveness into your chart, as well as warmth and the knack for establishing contact with people. You enjoy undertaking numerous projects. An individualist, you paradoxically like to set up and participate in groups of discussion, provided that your originality is appreciated as it deserves to be. Brenda Lee, you are a real Goliath and you often excel in sport; your thirst for conquests prompts you to constantly launch new challenges. The enthusiasm you put in your undertakings is perfectly well supported by your moral concepts and an idealism compatible with the values of the society you live in. You are pragmatic, enterprising and sometimes, naive. You do not pay attention to details and you launch various great adventurous projects that are all doomed to success. In a few rare cases, you can funnel your huge energy into more philosophical, even spiritual or religious enterprises, where your entire fieriness works wonders. On the sexual plane, your ardour and your spontaneity are your main assets. The danger is that you may spread yourself too thin in the sense that you may forget about faithfulness, particularly during the extensive faraway travels you are so fond of. This text is only an excerpt from of Brenda Lee's portrait. We hope that it will arouse your curiosity, and that it will prompt you to deepen your knowledge of astrology, as well as to visit and use the wide range of free applications at www.astrotheme.com. Your Life Path is influenced by the number 5, Brenda, which indicates changing and off the beaten track destinies. Your activities are varied and placed under the sign of adaptability, and multiplication of resources. More than anyone else, you need to enhance your learning capacities and the broad-mindedness. You must cope as well as you can with changes and transformation occurring in your life. Indeed, Life Path 5 brings about destinies which are prone to twists and turns, as well as to upheavals. Therefore, your life's main orientation may vary considerably at certain stages, and if your destiny is that of adventurers whose course is fraught with obstacles, it may also turn you into an exceedingly unstable person through lack of nuance. You accumulate experiences and enrich your know-how with each crucial period. Your adaptation skills enable you to go through all the successive stages of your life without ever being destabilised by new situations.